Between chocolate and hot cross buns, Easter has got to be my all time favourite food holiday. But, unfortunately these treats also mean that its not always the most FODMAP Friendly holiday. Below are my three tips that you can use to enjoy Easter without ending up in the bathroom. 1.Plan your Easter treats. 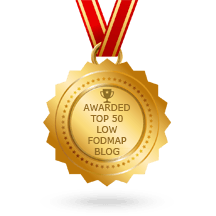 Yes, you can have chocolate on a low FODMAP diet. Serve size is limited, so choose your favourites and let it melt in your mouth. 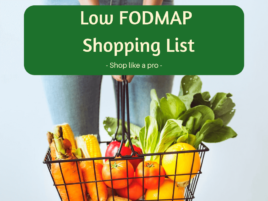 NB: Don’t forget to check the ingredients list for added high FODMAP ingredients like inulin, honey, agave or high fructose corn syrup. 2. Choose fruit free, sourdough or gluten free hot cross buns and serve with plain butter or maple syrup if you have a sweet tooth. 3. Give small presents other than chocolate, and make it fun by creating a backyard “present” hunt. 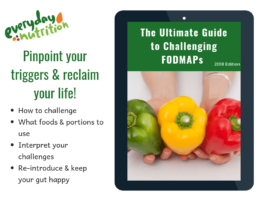 For more Easter tips, and a Low FODMAP Hot Cross Bun recipe, check out this post from Colleen Francioli & FODMAP Life here. Several single origin dark chocolate bars are available to buy online from the Chocolate Trading Co.